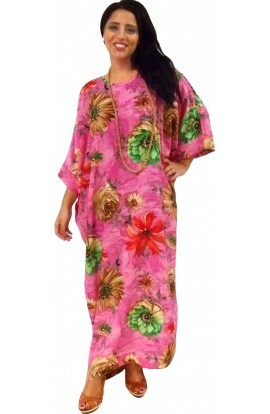 BEACH KAFTAN-COVER-UP CERISE This beautiful Beach Cover-up Kaftan is made in chiffon overlaid with satin appliqué. It is slightly see-through and is the perfect choice for your holiday, but can also be worn to relax in and feel gorgeous at home. 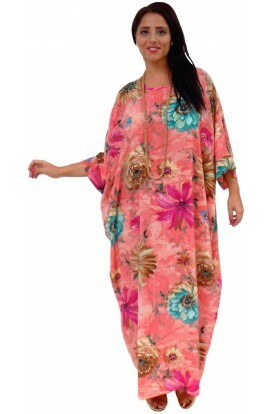 The one-free-size is the same as our sta..
BEACH KAFTAN COVER-UP. 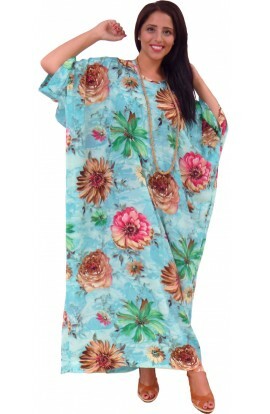 GOLD This beautiful Beach Cover-up Kaftan is made in chiffon overlaid with satin appliqué. 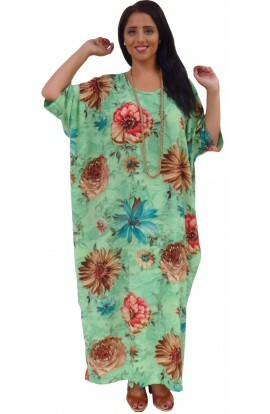 It is slightly see-through and is the perfect choice for your holiday, but can also be worn to relax in and feel gorgeous at home. The one-free-size is the same as our stan..